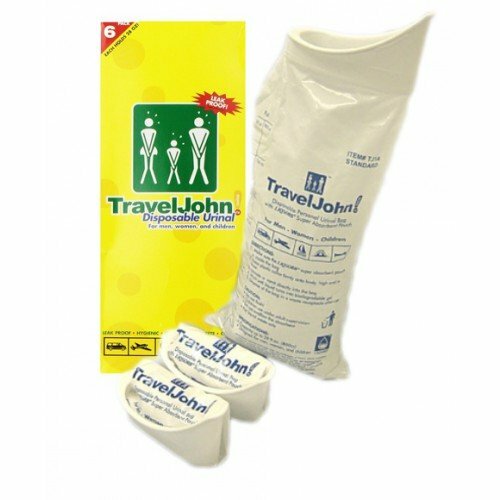 Travel John BUY TravelJohn, Disposable Urinal, Travel Urinal, Liqsorb, Urinal Pouch, RG101F3B, Travel John Urinal. 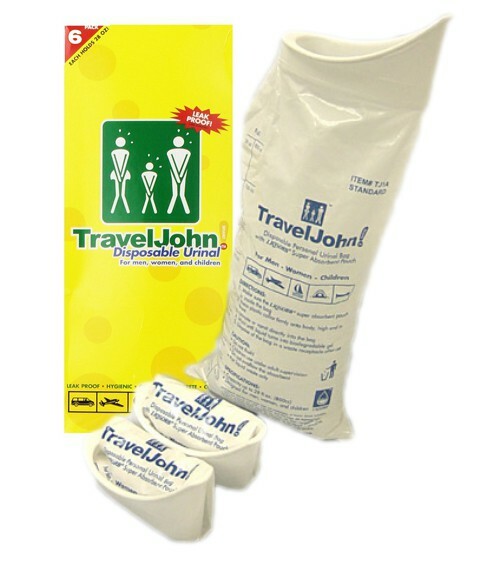 Travel John is a disposable personal urination pouch. 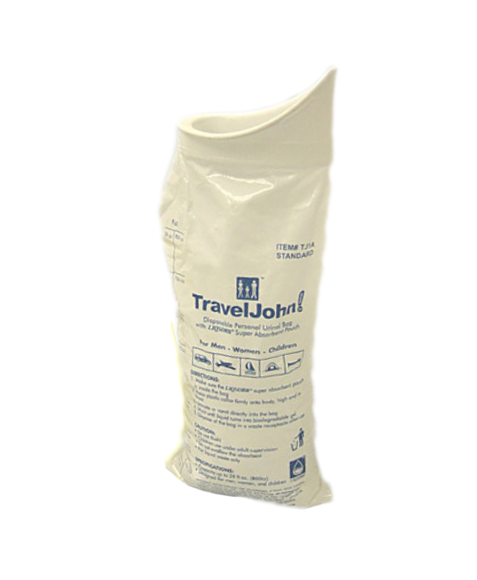 Each #1 Travel-John Urinal contains an inner pouch of Liqsorb absorbent. Liqsorb is a biodegradable polymer substance that immobilizes bacterial growth quickly, absorbs the liquid waste and turns it into an odorless, contained spill-proof gel that is nontoxic and safe for waste disposal. A unisex adapter makes it easy for anyone to use while sitting or standing, with a spill guard to prevent backflow during use. Manufactured by Reachgood, The TravelJohn is a puncture-resistant pouch that holds 20 fluid ounces (600 cc). The Travel John Urinal is perfect for situations when a sanitary restroom is unavailable. Do not flush the Travel John Urinal Pouch down a toilet. Unisex Urinal that serves as a Male Urinal or a Female Urinal. 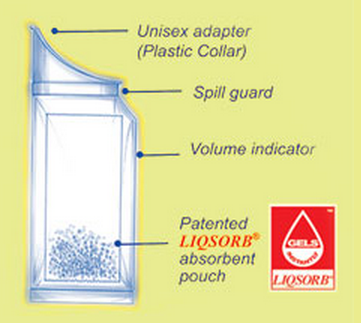 LIQSORB® super absorbent polymer pouch included. 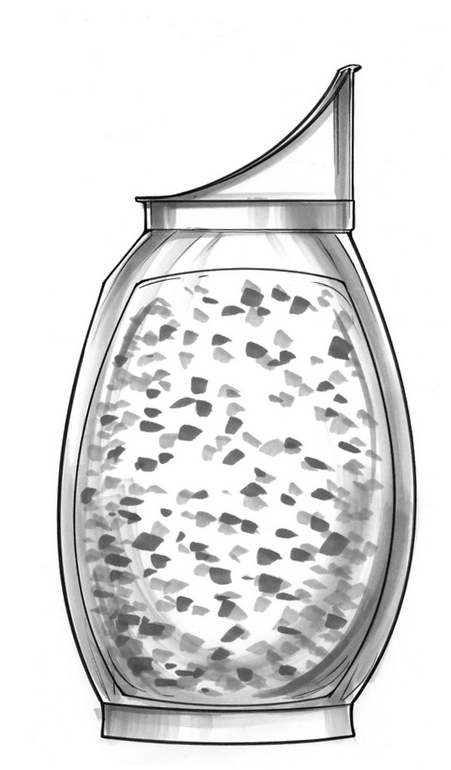 Disposable urinal for safe biological waste disposal. Travel Urinal for portable urine collection. Reusable urinal until pouch is full. Non-toxic, odorless, spill proof gel. Includes a handy volume indicator. Self closing device that requires no external closure device. Travel John Product Number: RG101F3B. Unfolded: 5 x 11 inches. Weight: 1.5 ounce before use. Application: Adult Urinal or Juvenile Urinal. I am a one-handed massive stroke victim, would they be easy for me to use in car while traveling? It's not recommended that this product be used while driving; however, it can be used for extended trips. I bought the bag(s) for emergency but have not had to use any as yet. 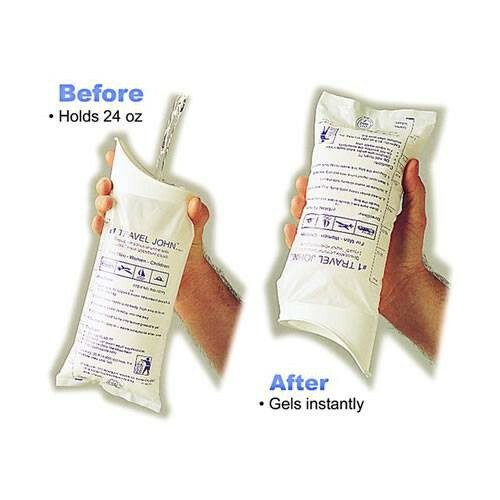 The bag is purported to be used several times until it is full before disposing. Since the mouth of the bag does not have reseal-able lips, what will prevent the content (even if a gel) from spilling out in-between fills? Providing a zip-lock type of seal that can cover OVER the rigid top (or just below the rigid top at the neck) would have been more assuring. Easy to use in the car and a God Send when stuck in a traffic jam with no where to pull off. I keep three in the car at all times easy to use for a male or female. Product works as described. I recommend it to all.